Thursday was a busy day for the Spokane Chiefs, who were involved in the annual WHL Bantam Draft. 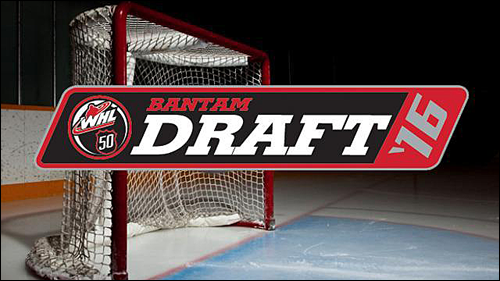 The Bantam Draft consists of players who were born in 2001 and played for midget hockey leagues in eligible Canadian provinces and American states. All 22 WHL clubs were able to participate in adding young blood to their organizations to not only improve their club's fortunes, but to elevate the players to their ultimate goal: the NHL. Spokane held the 8th overall pick in the 2016 WHL Bantam Draft, which took place in Calgary, Alberta. The Chiefs selected forward Luke Toporowski, a 5'10'', 163 pound left wing from Bettendorf, Iowa. Toporowski comes out of a hockey family that has had ties to Spokane. He is the younger brother of current Chiefs defenceman Jake Toporowski. Both Luke and Jake are the sons of former defenceman Kerry Toporowski, who won the 1991 Memorial Cup with the Chiefs. 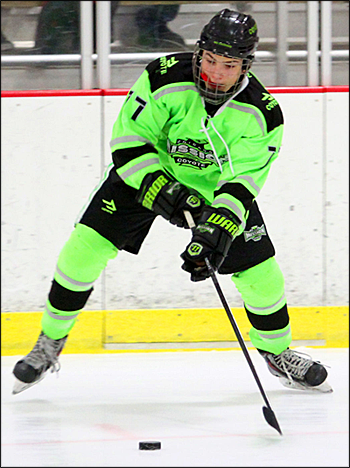 Luke played this past season with the Chicago Mission Bantam Major AAA of the High Performance Bantam Hockey League. He earned the league's Top Scorer honors with 22 goals and 11 assists in 20 games. He also participated in the 2015-16 Pat Quinn Classic Bantam Elite Tournament, where he was the top scorer. Toporowski is quoted in his WHL Prospect Profile as emulating his playing style off Washington Capitals forward Alexander Ovechkin. Chiefs fans should be excited to hear that, as Spokane has had times where it struggled scoring goals in the past two seasons. Chris Moulton, Spokane Chiefs’ Director of Player Personnel, spoke highly of Toporowski. "We were very excited to pick Luke with the eighth pick of the draft," he said in the team's press release. "He is a very skilled forward who we expect to be an impact player in the Western Hockey League. 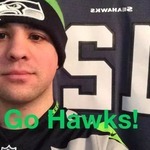 Luke is a player who generates scoring chances for his team with his speed. He impressed our staff with how he wants the puck and puts himself in a good position to receive it. He has a good hockey sense to find open ice and uses that to set up his teammates." 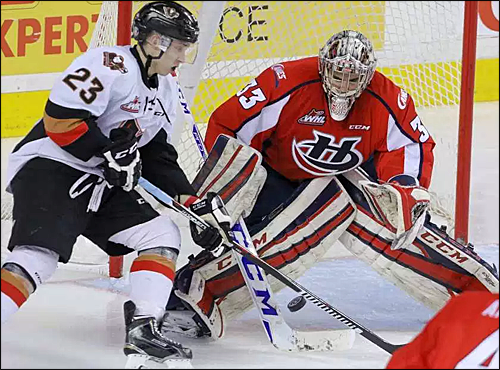 In addition to Toporowski,the biggest impact move made by the Chiefs was the acquisition of 20-year-old goaltender Jayden Sittler from the Lethbridge Hurricanes. The Hurricanes traded Sittler and a 5th round draft pick to Spokane in exchange for a 3rd round pick and a 7th round pick in the 2016 Bantam Draft. Spokane saw a bit of a revolving door at goalie this season, and Sittler looks to be a solid addition in net. In 2015-16, the Chiefs entered the season with 20-year-old starter Garrett Hughson (0-2-1, 5.44 GAA, .833 SV%) being released less than a month into the season. Spokane saw three goaltenders see time in net, including Tyson Verhelst (23-22-1 record, 3.16 GAA, .892 SV%), Lasse Petersen (9-5-1 record, 2.95 GAA, .894 SV%) and rookie Matt Berlin (1-1, 4.38 GAA, .851 SV%). "We are excited to add a goaltender of Jayden's caliber to our roster. Jayden has great experience and is a quality person who will also be a big part of our leadership group," Chiefs GM Tim Speltz said in the team's press release. Sittler (6'1'', 205 lbs, Red Deer, AB) played in 39 games with the Hurricanes in 2015-16 as the team's backup goaltender. He posted a 19-14-1 record, with a 2.94 GAA, and a .905 save percentage, including 1 shutout. He spent the past two seasons with the Hurricanes. Prior to joining Lethbridge, Sittler played 10 games with the Victoria Royals in 2014-15 and 1 game with the Kootenay ICE in 2013-14.